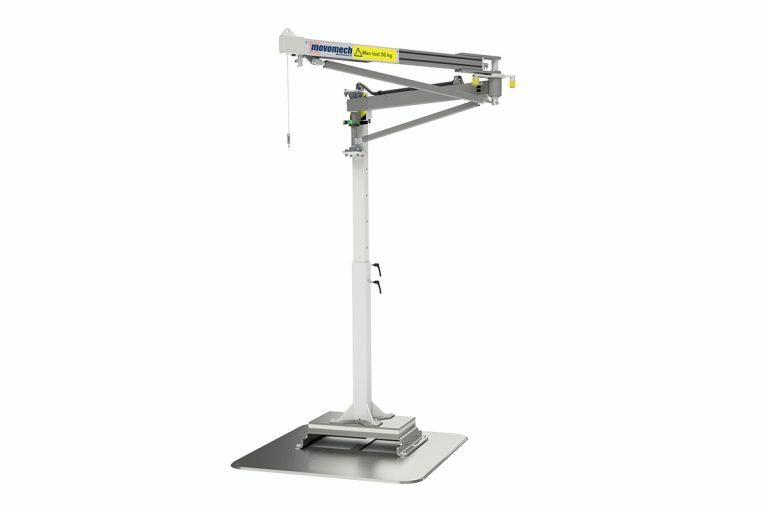 By combining the smoothness of the Mechline Pro balance lifter and the versatility of an articulated jib crane we have created Mechline Pro Crane – a flexible lifting solution for many different industries. 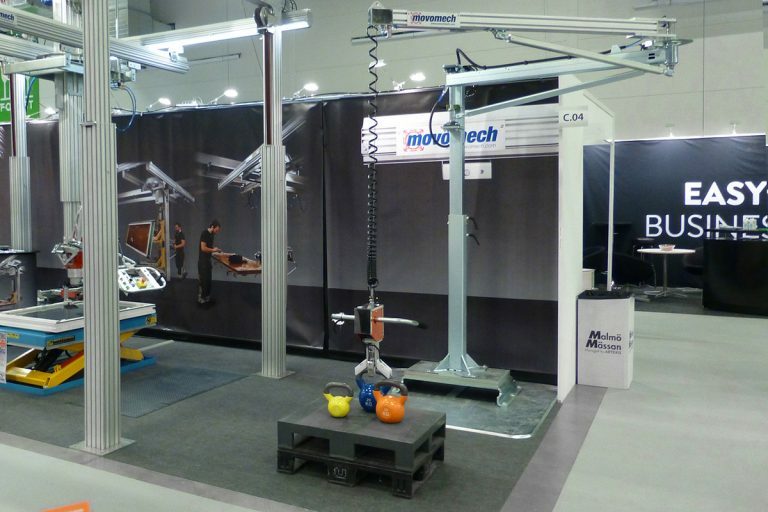 Mechline Pro Crane™ can be adapted to each individual workplace, with a reach of up to 4 meters, and a height-adjustable floor pillar. 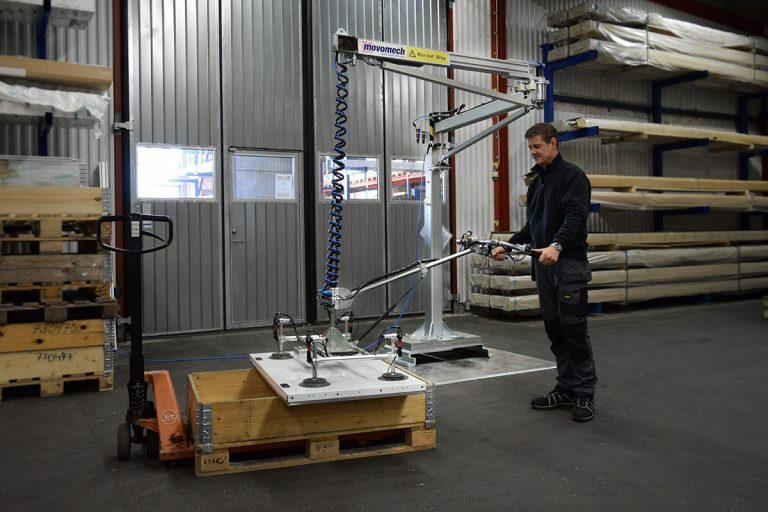 Add a mobile platform and you can easily move Mechline Pro Crane between different workstations – a simple manual pallet truck will suffice! 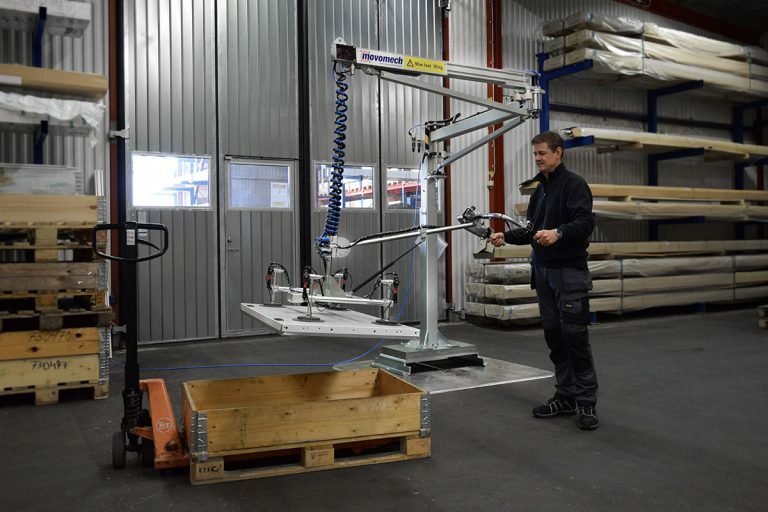 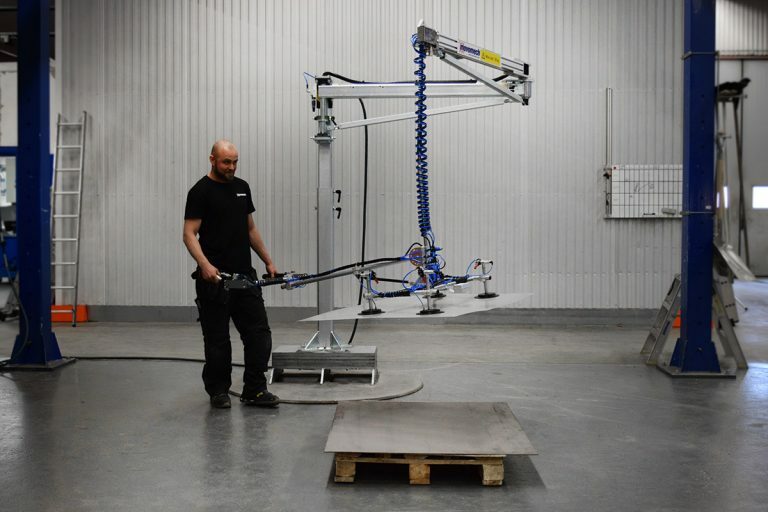 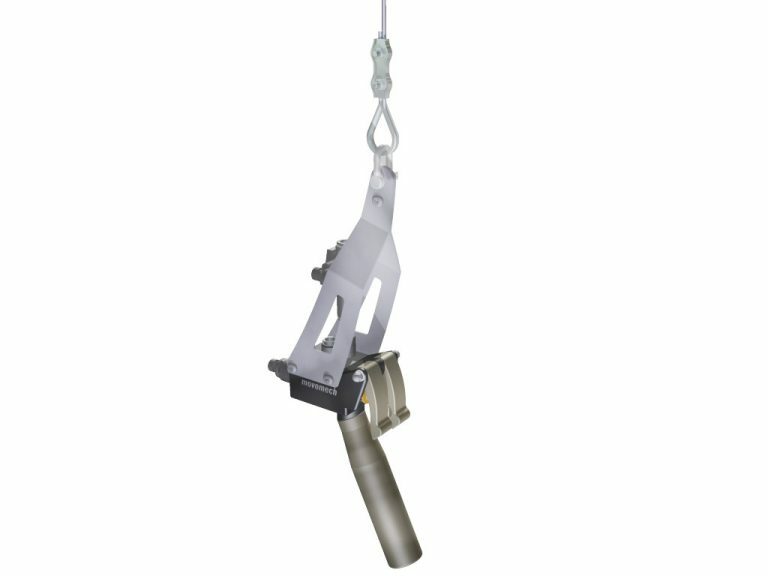 The air feed is integrated into the lifting arm and allows air feed to a customized pneumatic handling tool. 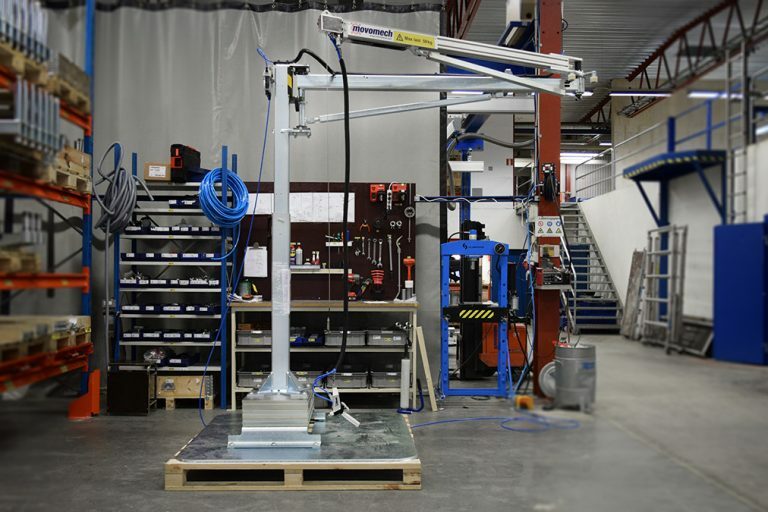 The crane is electrically galvanized and maintenance-free, and just as for the original Mechline Pro manipulator, a variety of pneumatic configurations can be offered. 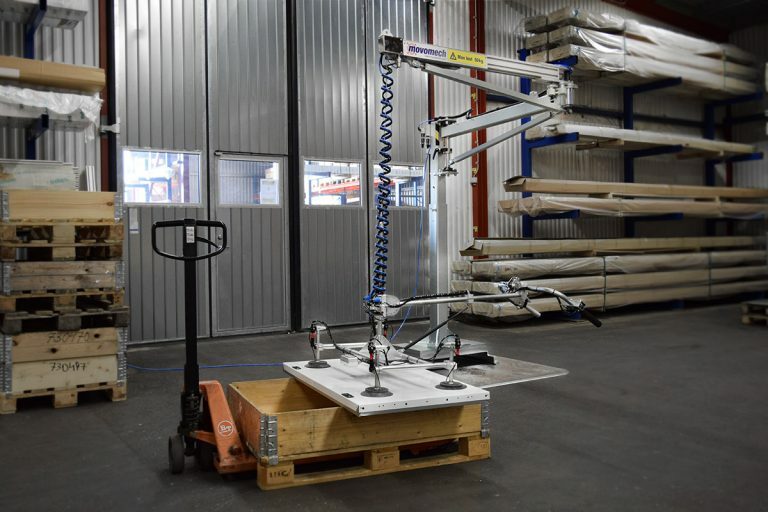 For more information, please contact a member of our our sales team or fill in the contact form below.